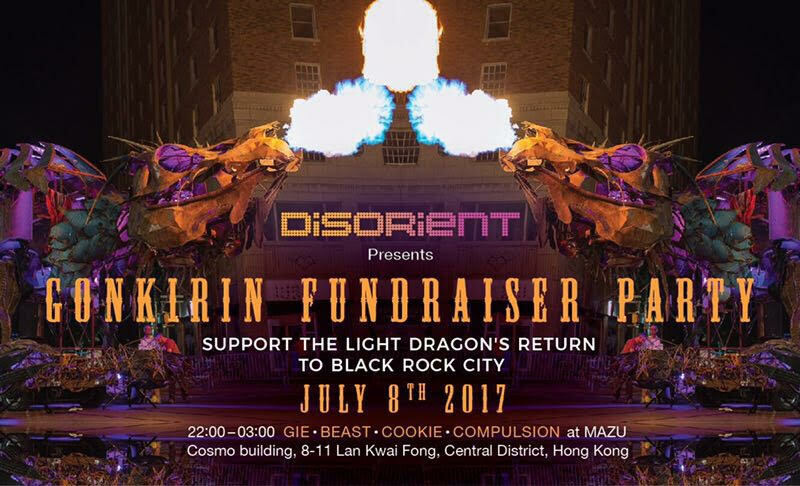 If you are in Hong Kong, or fancy a short trip to Hong Kong, check out the Gonkirin fundraiser to help bring a dragon-themed art car to Black Rock City this year. If you are in Hong Kong, or fancy a short trip to Hong Kong, check out this fundraiser to help bring a dragon-themed art car to Black Rock City this year. Dragon Burn returns to the Mansion for their annual pre-Burn event. 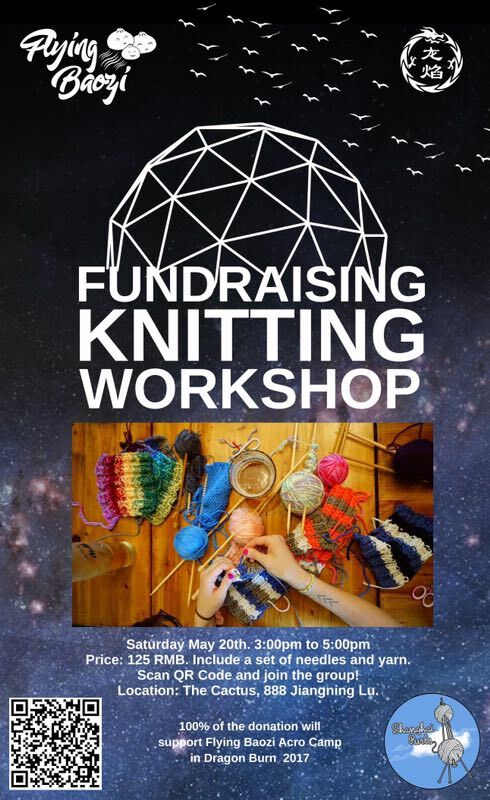 Learn how to knit and get a new set of needles and yarn with the Flying Baozi fundraiser this Saturday! 100% of the donations will go to support the Flying Baozi Acro Camp in Dragon Burn…. The Flying Baozi Theme Camp is presenting another fundraising event. 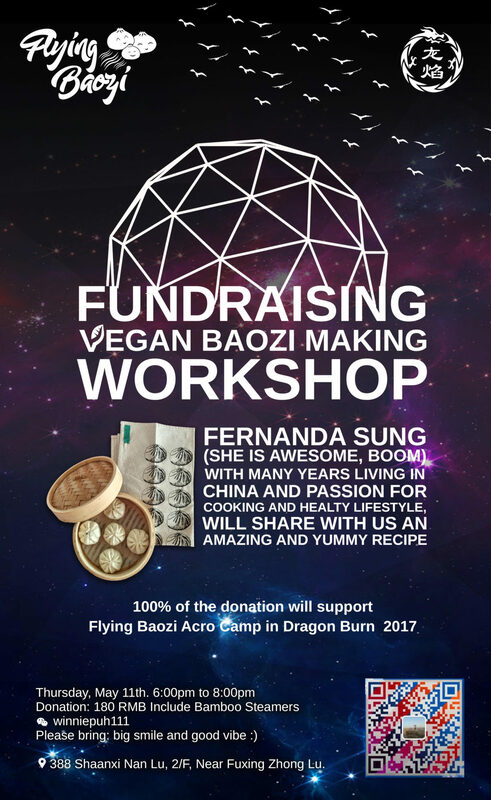 To help you get food prepared for the Burn, Fernando Sung will be sharing her recipe for her yummy vegan baozi. The Roller Disco theme camp is at it again! 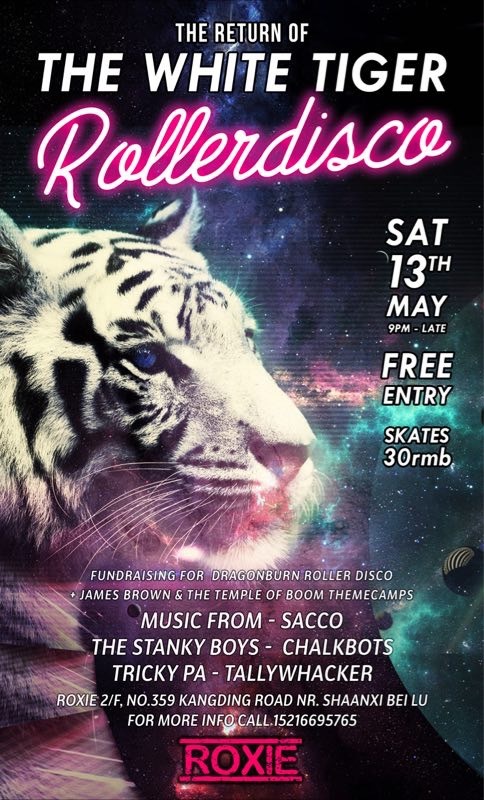 Join them at Roxie this Saturday for more amazing tunes and some skating action. Free entry and skate rentals at 30RMB. 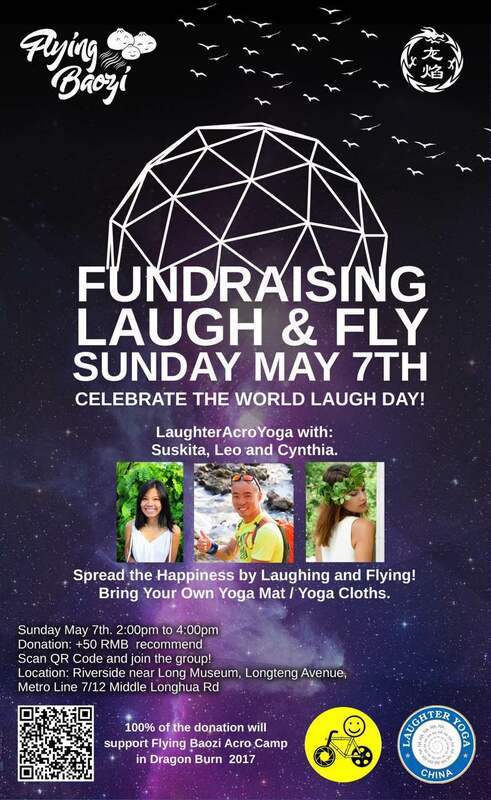 Join the Flying Baozi theme camp at Riverside and celebrate the world by laughing today! Not only will you fly, you will be making the world a happier place. 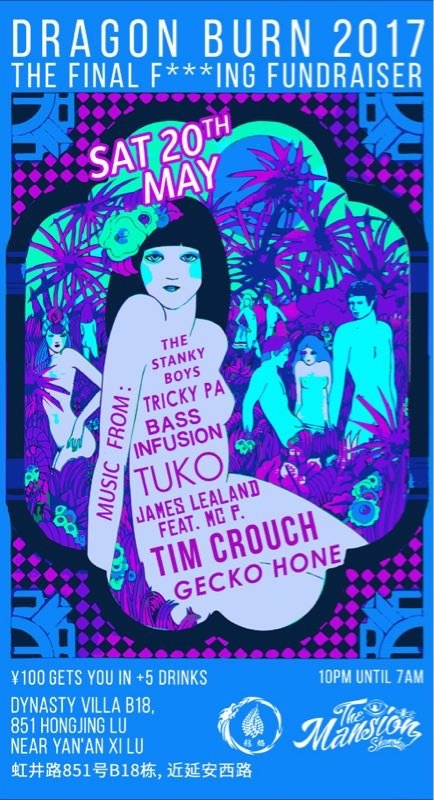 Don’t know where to get funky tonight? 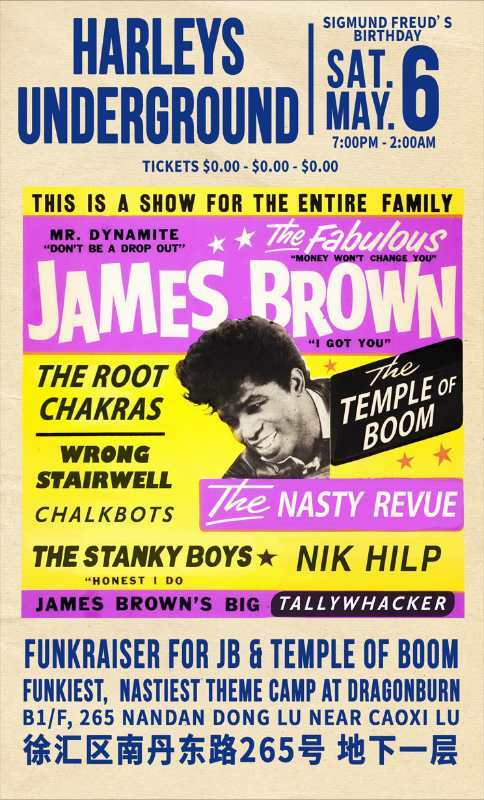 Don’t worry, James Brown and the Temple of Boom has you covered! We will be raising funds and raising the funk with a great line up of bands and…. Author Doc BokPosted on 6th May 2017 3rd May 2017 Categories EventsTags Fundraiser, James Brown and the Temple of Boom, Music, Theme CampsLeave a comment on Funkraiser at Harley’s Underground!